Behind the play of sophomore quarterback, Connor Cook, Michigan State rallied from a seven-point third-quarter deficit by scoring the final 17 points Saturday night to upset Ohio State 34-24 and deny the Buckeyes a chance to play in the VIZIO BCS National Championship game. Cook responded to the challenge by driving the Spartans for a field goal, hooking up with the wide open Josiah Price in the flat of the end zone and then burned 3½ critical minutes on the clinching drive, capped by Jeremy Langford’s sealing 26-yard TD run. Cook finished 24-of-40 for a career-high 304 yards and three scores. Langford ran 24 times for 128 yards, becoming the first player this season to top 100 yards against the Buckeyes. 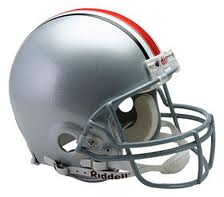 The Buckeyes did that late in the first half when they closed to 17-10 at halftime. Braxton Miller opened the second half with an 8-yard TD run to tie and then gave Ohio State the 24-17 lead with a 6-yard run with 5:36 left in the third. Michigan State answered with Michael Geiger’s 44-yard field goal, which barely dropped over the crossbar, to make it 24-20 and Cook hooked up with a wide-open Price in the flat to make it 27-24 before Langford sealed it with his TD run with 2:16 left, which prompted coach Mark Dantonio to lobby for the Spartans to be playing in the title game Jan. 6. Ohio State came into the game with the nation’s longest winning streak (24), had not lost under Meyer in two seasons and had one of the nation’s most productive offenses and underrated defenses. 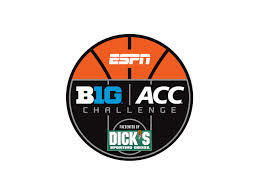 This years’ Big Ten/ACC Challenge promises to be two of the most exciting days of the college basketball season, as 24 teams from two powerhouse conferences collide on the hardwood. The Commissioner’s Cup remains with the Big Ten after a tie in this event last year, although the ACC boasts a 10-3-1 record over its rival conference. It’ll certainly be interesting to see if the ACC can pick up its first win since 2008, especially with so many talented squads in the field. NOTE: Three ACC teams were excluded this year: Clemson, Virginia and Wake Forest. This is going to be a great tournament and a single game could be the difference between a win or loss—and possibly another tie—in the challenge. I have it all tied again, but putting pride into the equation could change everything. So, don’t be surprised if the outcome of this challenge comes down to the final minutes of the final game being played on Wednesday night. These two conferences are that evenly matched and it could truly go either way. 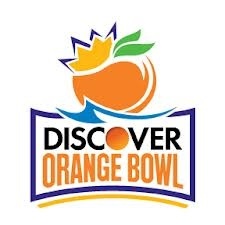 •Seven of the 12 games will mark first-time Challenge matchups: Michigan-Duke, Maryland-Ohio State, Miami-Nebraska and Boston College-Purdue, plus the debut of the three new ACC members Syracuse (vs. Indiana), Notre Dame (at Iowa) and Pitt (vs. Penn State). •In addition to first-time Challenge games, several of the teams are infrequent opponents: Nebraska holds a 3-1 record against Miami; Purdue won both previous meetings against BC; Ohio State and Maryland last played in 1985 with OSU three out of the five all-time games; and Notre Dame will play Iowa for the first time since 1990 and holds a 8-5 series record. 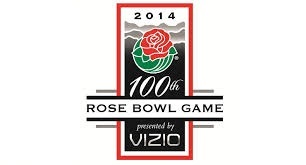 •Old Pennsylvania rivals Pitt and Penn State will meet for the first time since 2005. The Panthers have won the past five contests. •Illinois/Georgia Tech and Wisconsin/Virginia will follow their first-time Challenge meetings in 2012 with a rematch in the 2013 event. The Illini and Cavaliers won last year’s matchups. •Best Three Out of Five: North Carolina/Michigan State and Minnesota/Florida State will meet in the Challenge for the fifth time. Both series are 2-2. •Rubber Match: Northwestern and NC State will square off in the Challenge for the third time. Northwestern won in 2009 and NC State in 2002. •Syracuse and Indiana have met five previous times in non-Challenge games, with the Orange winning the past four, including last season’s Sweet 16 matchup. 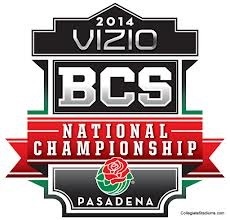 NOTE: This is the FINAL year for the BCS… YEA!!!! 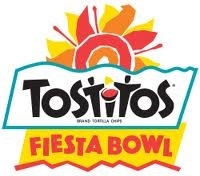 Did U know that profitable BCS bowls get public aid? For more, click here.